Andy hotel apartment wellness enjoys a prime setting directly at the lifts of the Hochzeiger ski and hiking area. Skiing and hiking experiences and countless outdoor activities in the healthy mountain air start right on your doorstep. The invigorating experience at Andy hotel apartment wellness will continue to have an effect after your holidays. 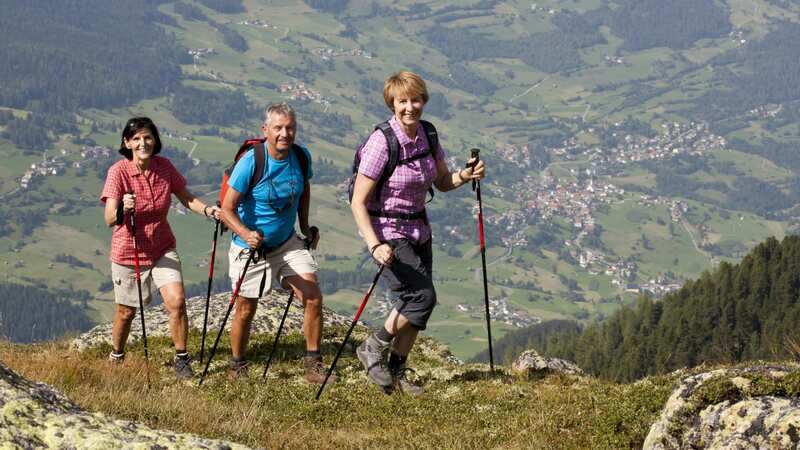 We all know that sports is good for your health, and exercising in the alpine bracing climate is even more beneficial. The mountain air, the wind and the sun enable you to train your endurance much more effectively. The body has to adapt to climate stimuli and is simultaneously encouraged to increase its defenses and to stabilize the whole organism. 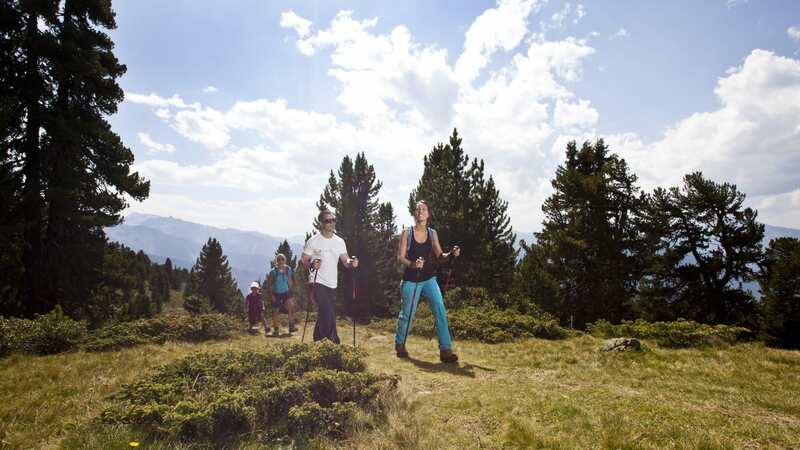 Hiking in healthy climate has been proven to have a positive effect on the body. 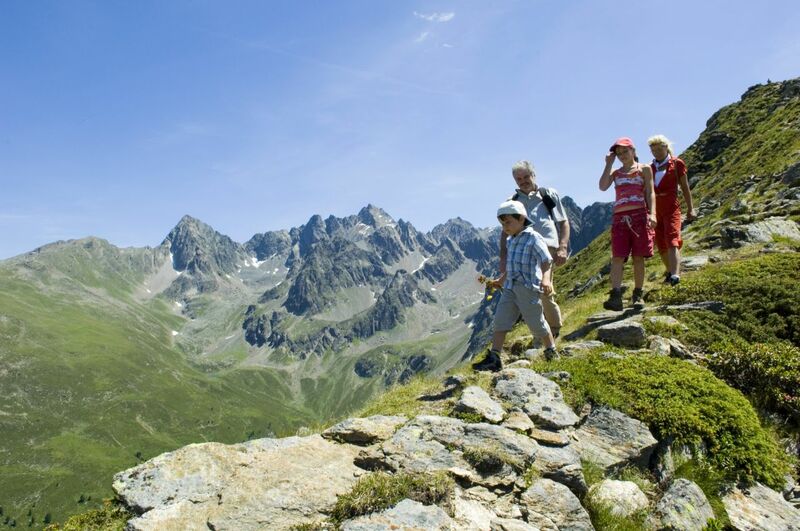 Enjoy our beautiful nature during relaxing hikes through the Pitztal valley. 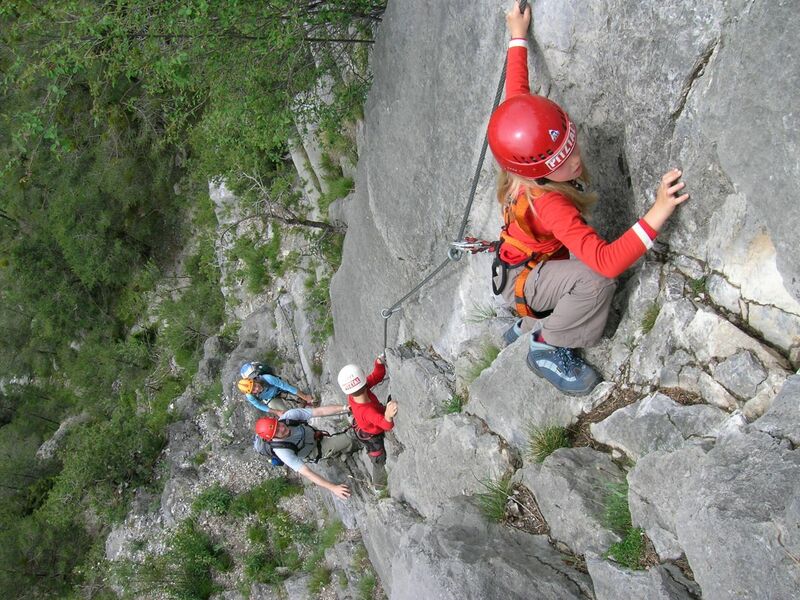 The hiking area Hochzeiger comprises 100 km hiking trails for all abilities. Two lifts take you comfortably to the starting point of your hike. 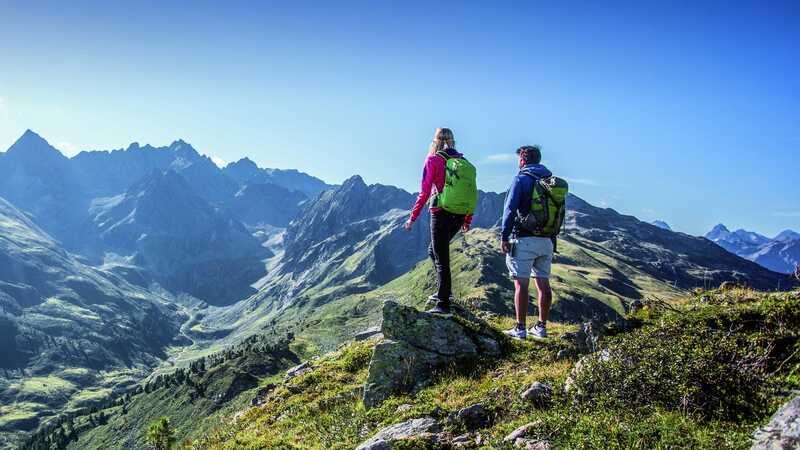 Our hiking guide Klaus will lead you to the most beautiful places in the Pitztal valley. Discover the romantic and natural landscape and enjoy the peace and the clear mountain air. Quaint, cozy mountain huts invite to have a break and enjoy a delicious snack. Just slow down and relax! Of course you can also ski directly at the doorstep. The Hochzeiger ski area offers a comfortable family-friendly atmosphere on 54 km perfectly groomed slopes and a 6 km toboggan run. In bad weather fitness enthusiasts find a true paradise at Andy. On more than 60m² we provide modern fitness equipment by “Life Fitness”: cardio equipment, a rowing machine, a treadmill and a combined trainer with heart rate measurement bring you up to speed. Exercising in the fresh air, a healthy dinner and our wonderfully comfortable beds – these three factors will inevitably lead to the best night’s sleep. In addition to the silence where only birdsong can be heard, it’s the furnishing of our rooms according to Feng Shui principles which makes you feel at home. Enjoy a relaxed night’s sleep and feel fresh and rested every morning.